So excited! 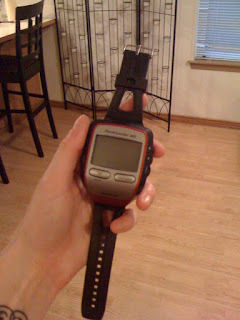 I just talked about wanting a Garmin this morning! Right now, Gus is still getting supercharged up, but I'm stoked to see how he works! Unfortunately I had to run inside today because it was dark and rainy, though I somehow managed six miles. On a treadmill. Yikes. My Uncle Doug is awesome. Thank you so much, Doug!!! Woo hoo! That's so great! I recently ordered one from Ebay and am running to my pidgeon hole every day hoping it's going to be there! You must be so happy - apparently it changes your world! Congrats and Happy Early Birthday woman!!!!!! Congratulations! 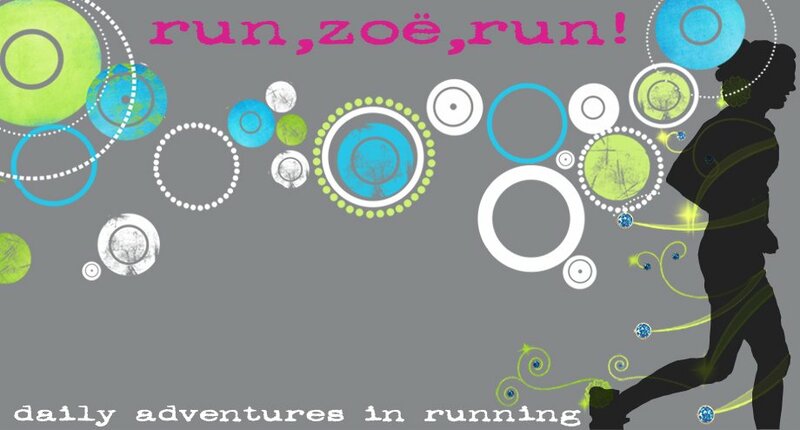 Your running life will never be the same. Welcome to the dark side - where every run's success will be dictated by Gus. (You think I'm kidding? Watch what happens the first time Gus runs out of battery on a run). Bwaah haa haa haa! Cool Zoë! You are going to be all geared up with your skirt, belt and GUS! That's awesome. How do you like that thing? I've been thinking about getting one...but it's either that, or Santa Claus brings the kids presents this year. HaHa. Happy Birthday and enjoy! Dear Uncle Gus, what about your long lost niece Karen? Seriously, what an awesome gift!! !